Growing up, I snubbed traditions like I snubbed advice. They were both far too lame for a cool cat like me. Traditions? Pffftt. Please. In fact, I was the poster child for non-conformity and originality, despite my mother's chagrin. My hair was purple, I wore plaid shirts, red lipstick, black tights, and Doc Martens. Although I looked like every other kid my age, I thought I was unique. I was quite determined to make my mark on the world at a young age; carving out my own path rather than travelling down the one my family had set out before me. It wasn't until I became a parent that all those teenage idiosyncrasies I held in high esteem were finally rationalized and life lessons I chose to ignore were welcomed with open arms and much deserved respect. It was like something clicked in my brain and I finally understood my parents. I became cognitive as to why it was so important we went to my Grandmother's house every Sunday for her big spaghetti dinner. I understood why it was so essential that the Christmas Tree went up December 1st and taken down on January 6th, on the Twelfth Day of Christmas. It was those same traditions that were passed onto them from their families; traditions they wanted us to carry on. From that moment, I deemed it my mission for my littles to have the same experiences I had when I was their age. 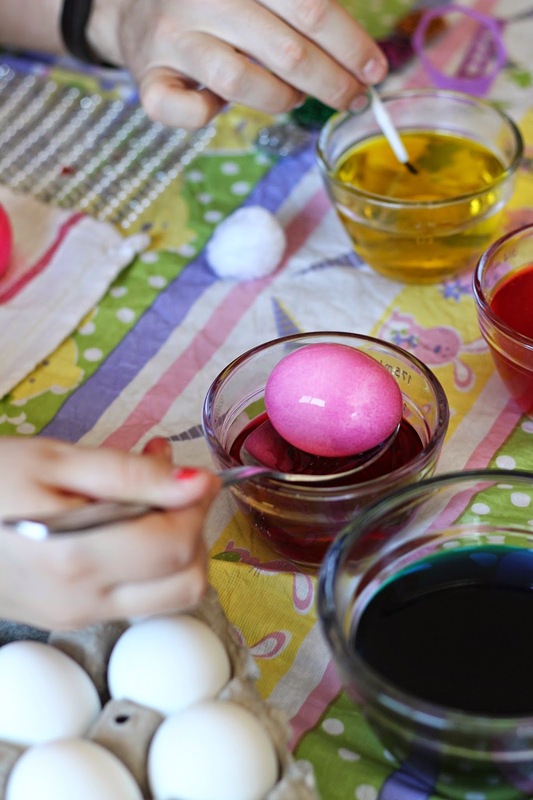 Dyeing Easter eggs was one I looked forward to every year. 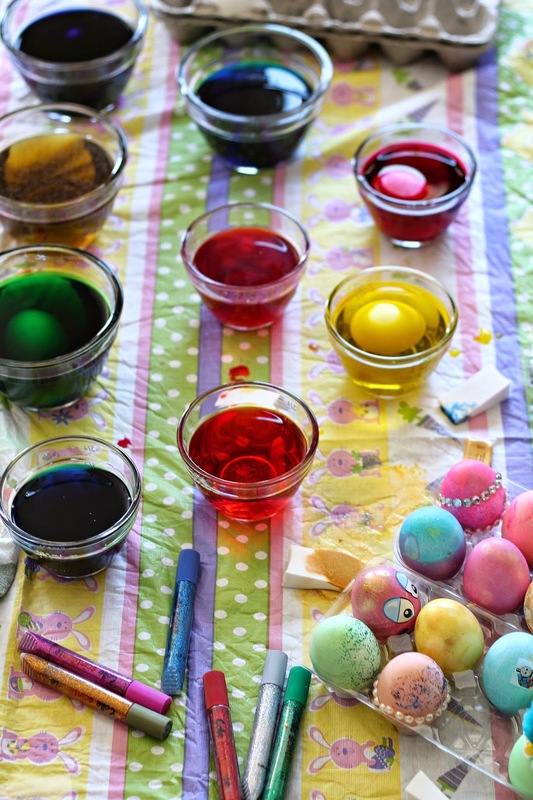 I gotta say, nothing was as much fun as colouring eggs when I was a child. Well, except maybe throwing water balloons at the neighbourhood kids as they walked by our house on the first day of summer vacation, but I'll save that for another post. Easter is such a beautiful and blessed time for my family. It's about rebirth, rejuvenation, new beginnings, but most importantly, it's about the divine miracles and unfaltering love that were set forth by my Heavenly Father, to whom I attribute everything to. And of course, on a different scale, it's about family gatherings, good food, cotton-tailed bunnies, and egg hunts. 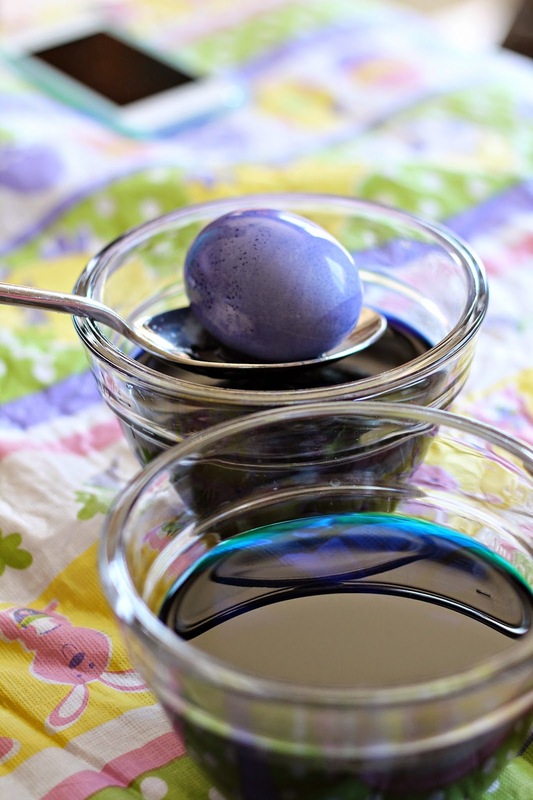 As aforementioned, dyeing Easter eggs as a kid was the highlight of the Easter holiday. It brought out our creative side and allowed us to express our uniqueness like no other. Mom would boil dozens of eggs and let us go wild. 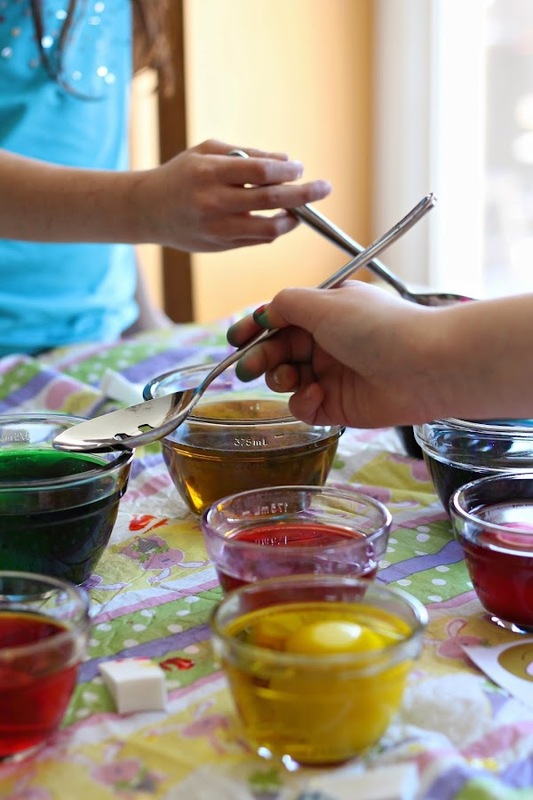 Bowls of brightly, colourful water grace the newspaper-lined kitchen table as well as a plethora of embellishments like stickers, markers, wax crayons, glitter, and glue to finish the job. Creativity flowed from our veins as if it was our rightful duty. 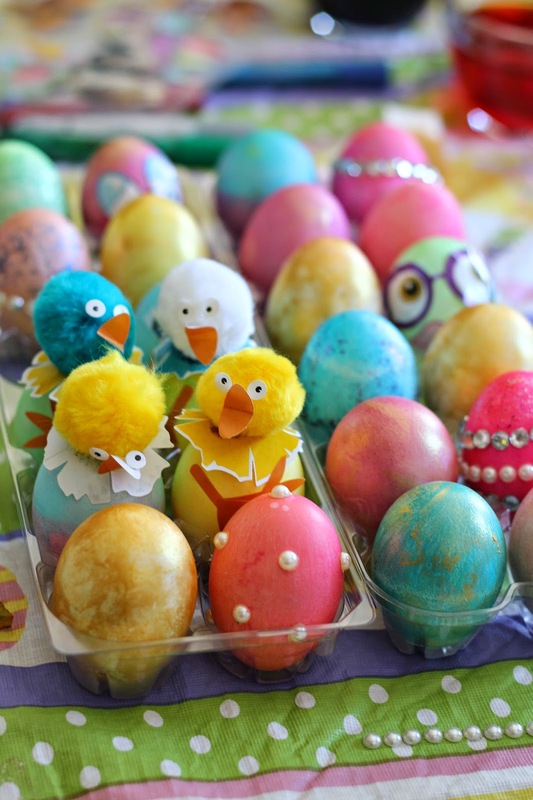 Tye-dyed eggs were my favourite; the crown jewels, if you will. 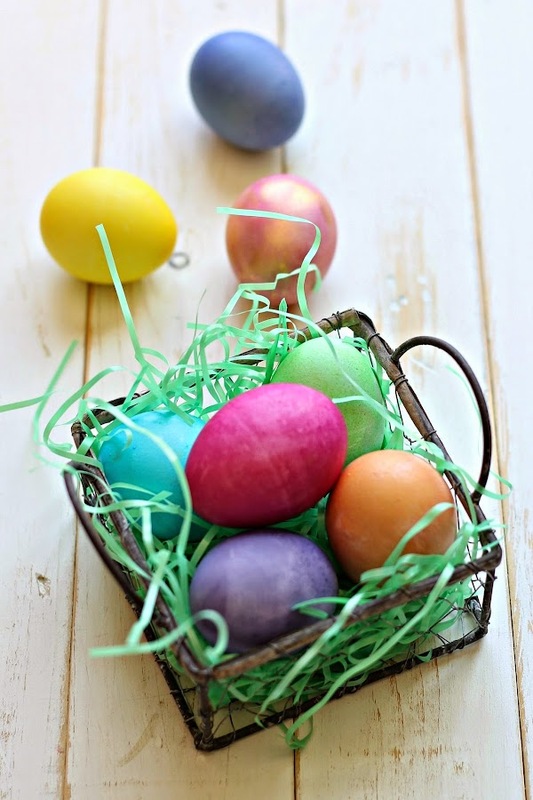 Rubber bands tightly wrapped around each egg, carefully dipped into different colours, and removed for a mesmerizing effect. I also loved writing my name with a wax crayon, then dipping into a colour for like ten minutes. And if someone ate said eggs? There were unpleasant consequences. Our fingertips would be stained with shades of dark blue, green, and browns from the blending of colours; clothing would be ruined beyond repair, including a beloved Strawberry Shortcake top Mom told me not to wear. I still mourn it to this day. I remember one year, Mom bought those shrink wrap egg sleeves. The ones that mould onto the eggshell with applied heat? Those were a horrific idea, mainly because there was little to no effort involved. We were done with them in about ten minutes and right back up in Mom's business, complaining about being bored. After about five minutes of constant whinging, she had the creative caddy out, newspaper circulars haphazardly placed on the table along with several bowls of colourful vinegar water. I remember ripping off the crinkly, melted plastic from the egg sleeves and loving the sound it made. It was as if I was unwrapping each egg individually, hearing its inner cries, begging for me to create a colourful masterpiece on its canvas. Either that or I was a creepy child and needed therapy more than I thought. Moral of that story? Some traditions shouldn't be messed with. 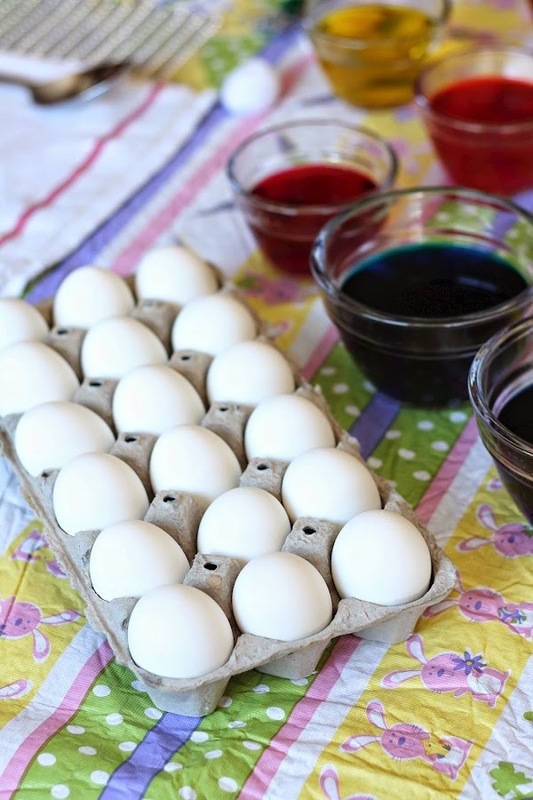 And once those colourful eggs lived out their purpose, Mom would make egg salad or devilled eggs for days. 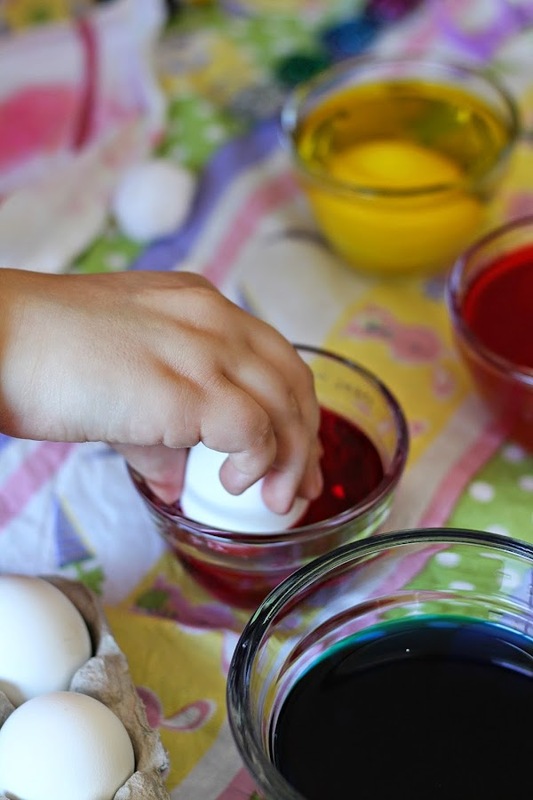 Our favourite part was cracking open the egg shells to see how the food colouring leached onto the egg white and what fun designs it created. I love that my kids have graciously embraced traditions that were set before me. Seeing things through their eyes and encouraging them to use their creativity with that same reckless abandon I had, knowing one day they'll teach their kids what we taught them is more than I could ever hope for. And of course, Egg Farmers of Ontario make it possible to keep this particular traditions going. For the past 50 years, these local farmers have dedicated their lives to producing some of the best eggs this province has to offer. Their dedication to the families they supply and feed is something to be admired and isn't egg-actly something to yolk about. C'mon. You didn't think I could write a post and not crack at least one egg joke, did you? I'm here all week, folks. So thank you, Egg Farmers of Ontario. You feed towns, cities, and communities. And for that, I'm egg-ceptionally grateful. 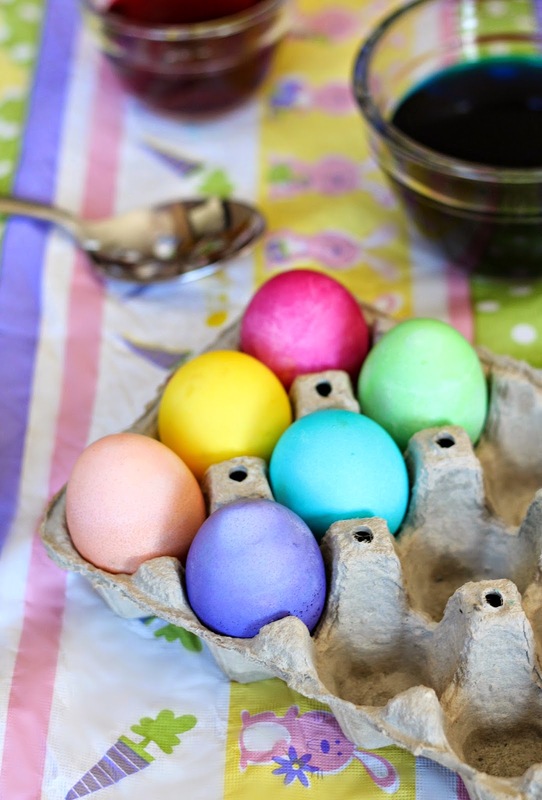 Please visit Egg Farmers of Ontario website for more tips and information such as Easter egg colouring resources: http://bit.ly/1NhEezw as well as delicious recipes like Eggy Potato au Gratin (Mmmm!) http://bit.ly/1NccnyK or Vanilla Chiffon Cake (Yes please!) http://bit.ly/1y2nNye. 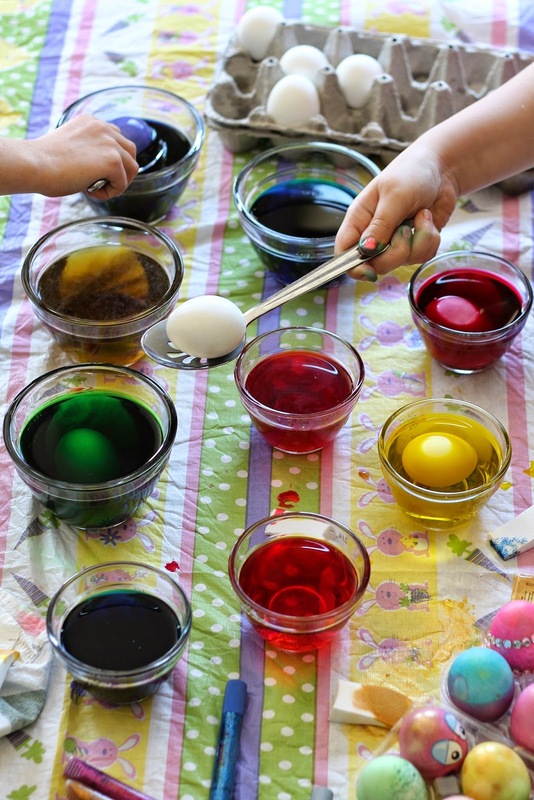 Michael and I are big on traditions--he's even insisting that he dye easter eggs with his mom and siblings :P So I def. get what you're talking about!